What is a Phalangeal Fracture? Your hands are one of those things you often take for granted, that is until you injure one and suddenly see how much you rely on them. Hand injuries can affect your ability to do your job, drive, and go about your daily life, not to mention they can cause a fair amount of pain and discomfort. One type of hand injury that can occur is a phalangeal fracture. While many of these types of injuries can just be treated with a simple splint, some cases aren’t so simple and may require surgery. 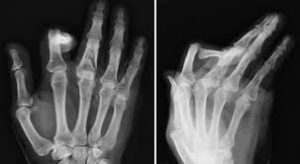 How Does a Phalangeal Fracture Happen? In order to understand how these fractures occur, it’s important to understand what the phalanges are. The phalanges are actually the bones in your fingers, but they can also be found in toes. So, a phalangeal fracture means you have broken one or more of the bones in your fingers or thumb. The most common way that a phalangeal fracture occurs is a direct blow. 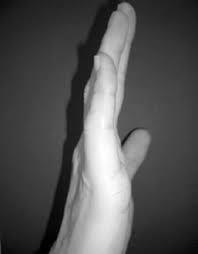 This could mean something has dropped on the hand, squished the hand, or the person has punched something. The common signs to watch for include not having full movement or flexibility of your fingers, pain, swelling, and loss of rotation, numbness, and severe bruising. A doctor will be able to take an x-ray and instantly see if there is a fracture. If you suspect you may have a broken finger, it’s best to have it looked at as soon as possible, so it can be properly set and treated. For a relatively minor fracture that doesn’t involve a number of bones, a simple splint and taping may be all that is necessary. Unfortunately, that isn’t the case for everyone and sometimes treatment can be more complicated. If the fracture was severe enough to damage the tissue and break through the skin, then you may need surgery to repair that area. As well, depending on the bones that are affected, you may even need screws and pins put in place. In very rare cases, there may be a total loss of motion for the finger that has been broken, and it’s always important to keep an eye out for infection. This is something your doctor will be able to watch for, and you will also need to be aware of the signs. 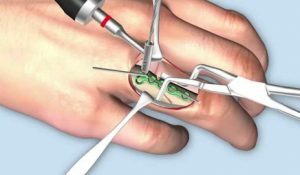 Schedule an appointment with the best plastic surgeon in Manhattan if you need surgery on your hand.